Good Morning & Happy Hump Day Everyone! First, I'd like to thank you all for your well wishes! It truly made me feel much better reading your comments!!!! You guys are great & I truly appreciate you very much!! Now, onto my post: I hope you all had a wonderful Easter Weekend. Mine was actually quite nice since I'm finally out of pain even if I'm not eating *real* food yet. My family enjoyed the meal I cooked & the kiddos LOVED the treats I made for them as well as their cards. I'm just elated that I felt good enough to make the things that I wanted & to see how much they appreciated everything they received!! 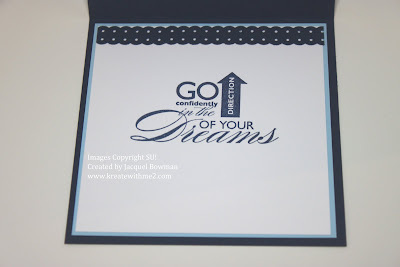 My creation for today is just what the title of my post says.....graduation dilemma! My oldest son will be graduating on May 20th & I need to narrow down what card I'm going to give him. His favorite color is blue so that's the colors I went with today. 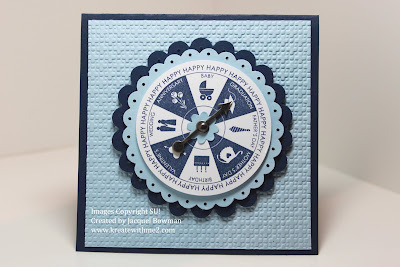 I used that supah fun Take A Spin set to make this cutie but I must realize that he's 17 1/2 years old & and a male so no bling or anything can go on his card.....I'm going to be making a few more to narrow down my choices & that means that he'll just receive several cards from me!! I'll have to seriously put my thinking cap on to get the right idea on paper....maybe I'll go with a silhouette theme next time. We'll see!! I'll be back on Saturday with my Etsy post. I've missed playing with my team & can't wait to get back in!! Thanks so much for stopping by & have a great rest of the day!!!!! Oh Jackie, this is seriously stunning! Love the rich color combo - so striking. 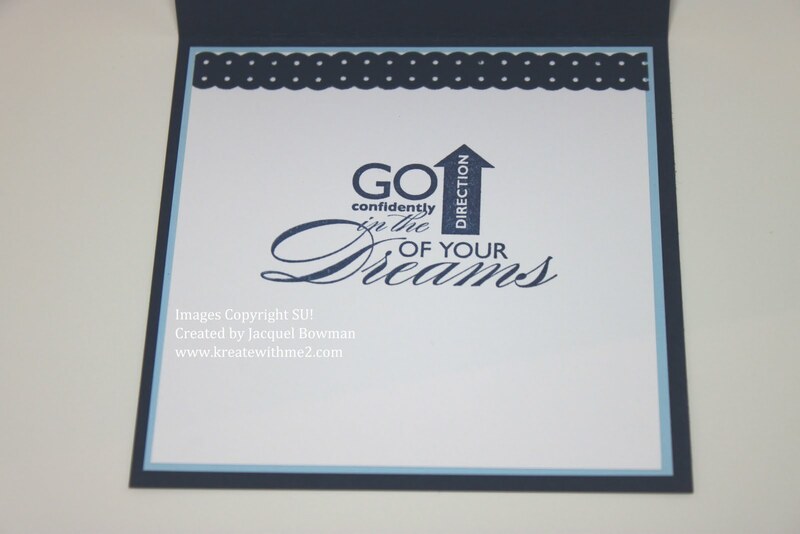 And the embossed background is the perfect touch - what a fun card! Congratulations to the new graduate - how exciting and a wonderful new venture in life! Absolutely adore this graduation card. Guy cards are always so hard to make and this one couldn't be more perfect. Awesome work, as always, Jackie. Pretty and just PERFECT!! Love it. I have been wondering about a grad card too.. I really must get started on one.. your card looks great... i am going to go with school colors though. So happy to see you back!!!! Missed ya and glad you are finally feeling better. Your card is fantastic and just perfect your son will love it. Congrats on his graduation. This is such a fabulous graduation card!!! your son will love it! This card is beautiful, the textures are great! Your son is going to love this! Congratulations to him!! 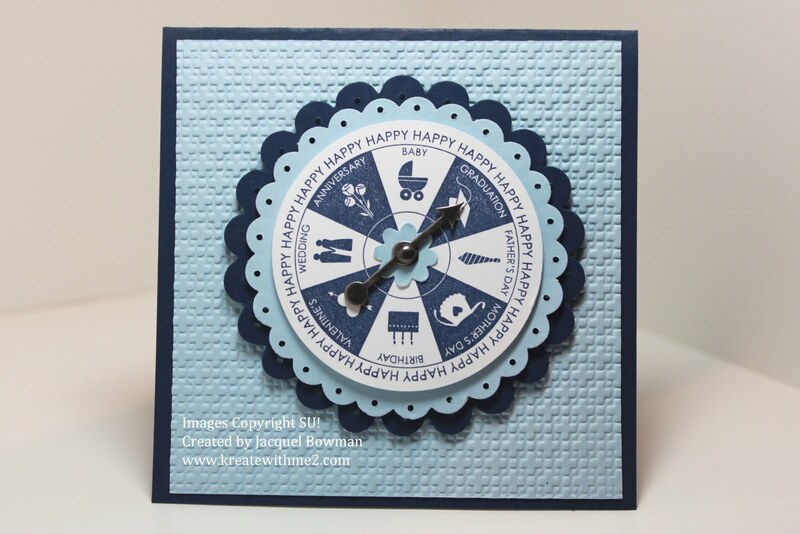 This is such a fabulous guy graduation card, Jackie...the colors and texture are wonderful and how fun to use the Take a Spin set....your son is going to love this!!!! So glad to see you back with yet another stunning creation! I'm glad you are feeling better. I always love what you do with the SU products. I seriously considered ordering this set. But, just wasn't sure how much I would really put it to use. Hi Jackie - so glad you are starting to feel better. X I love that card - it is beautiful. Gorgeous card! I love the texture and colors you used. Fabulous work! Very cool Jackie, you are seriously talented! Holy cow! I don't think I have ever seen such an innovative graduation card in all my life. This is so fab! Not only is this so novel but totally stamped to perfection. Seriously inspiring. Congrats to you too momma of the grad to be. Etsy Inspiration #133 XS Baggage & Co.